We’ve also added some new features for extra fun. You may find yourself having to stand on one leg, or taking the opportunity to switch places with any other player on the board. Or just when you thought you were never going to win, your throw may count double and put you right back in the game. 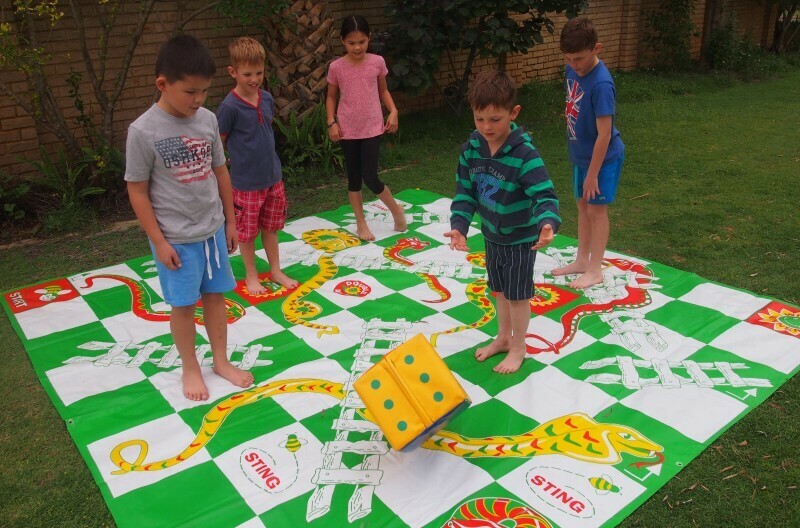 Specially designed to provide fun for all ages, Giant Snakes & Ladders is a lively, interactive family game. This giant version puts you right at the heart of the game, where you, yourself act as the counter and move down the snakes and up the ladders.